It appears that Mizuno is attempting a bigger push into the North American metalwood market with its 2014 JPX-850 line. As part of that, the JPX-850 hybrid is sporting a racy new paint job and a redesigned sole that is full of technology designed to make it longer and more forgiving. Low COG: Ball speeds highest from low on the face to match impact point. Multiple Lofts to fit into any player’s bag. Though its glossy blue crown might have garnered some raised eyebrows a few years back, the JPX-850 is more likely to be mistaken for something from Cobra these days. Still though, it’s a logical color for the company and carries with it a high level of curb appeal. The head itself sits in between the smaller and larger extremes, which should broaden its appeal to an extent. Slightly triangular (albeit rounded) in profile, faint lines run along the trailing edge of the crown as an added touch. The black face contrasts nicely with the blue paint and a shallower, more cambered shape indicates that the JPX-850 should be playable from the turf for most players. Testing did seem to show some more wear than we would have liked, with both the face and the topline accumulating signs of use rather quickly. Unlike a driver, hybrids tend to find themselves needed in many dirty situations and the 850’s elegant looks didn’t always handle them as well as a more utilitarian design. Though the blue color is certainly the first thing most people will see, turning the club over reveals possibly the most unique part of the JPX-850 – the Shockwave Sole. Reminiscent of slot technology in appearance, a series of ridges step back from the face towards the mid portion of the sole. Testing in muddy conditions showed that the Shockwave Sole did accumulate its fair share of mud and debris, but the way it’s built made cleaning it a relatively easy task. A wet rag worked in most instances. With a slightly higher than normal swing weight, the 850 feels substantial in hand – a positive quality for many that should help it transition into an iron set easily. At impact, the sound produced by good contact can best be described as crisp and metallic. It’s an incredibly pleasing tone that is among the best we’ve heard in 2014. The Motore shaft blends very well with the color scheme and should work for a relatively broad spectrum of players. Though not unusually stout, it certainly seemed stable enough that stronger players could work with it. 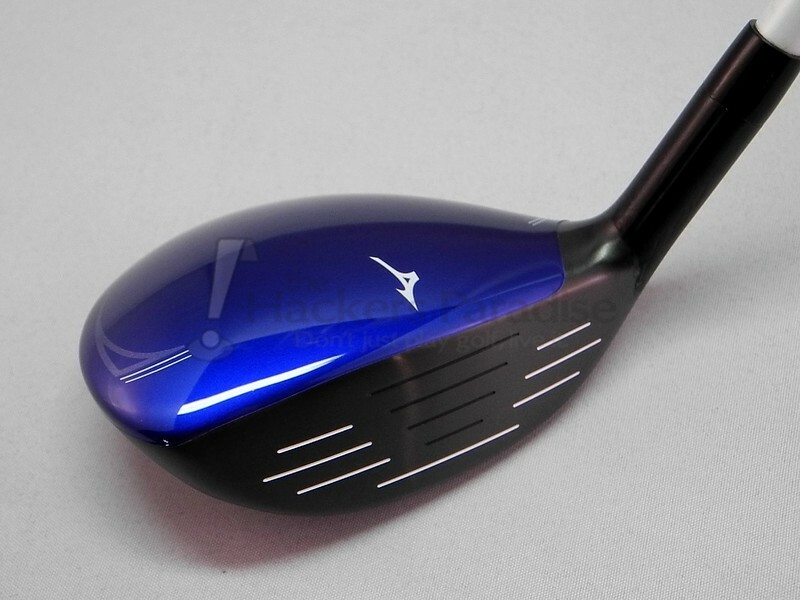 At 40.75” (in the 3h), the JPX-850 is a little longer than many of its peers, which is a little surprising from a typically traditional company like Mizuno. Testing with the JPX-850 took place both indoors and outdoors, during launch monitor sessions and rounds of golf. The club tested was the 19° version with the stock, stiff shaft. Although distance isn’t a primary item in Mizuno’s marketing of the JPX-850, it will be a point of interest for potential consumers. Testing showed that it lagged behind some of the longer hybrids on the market (X2Hot for example), but was relatively in-line with most peers. Unremarkable, but acceptable would be a suitable way to describe it. With a mid-launch and mid-spin profile, ball flight was high from the tee and mid-high at best from the turf. This again indicates that stronger players should be able to work with it, as there were no hints of ballooning ball flight to be seen. Those struggling with ball height may need more help than the 850 offers though. Even at a slight longer length, it was easy enough to hit from a variety of positions, though we wouldn’t exactly classify it as ‘point and shoot’. Those players needing the most help may find better options out there, but most average players should find the 850 satisfyingly playable. 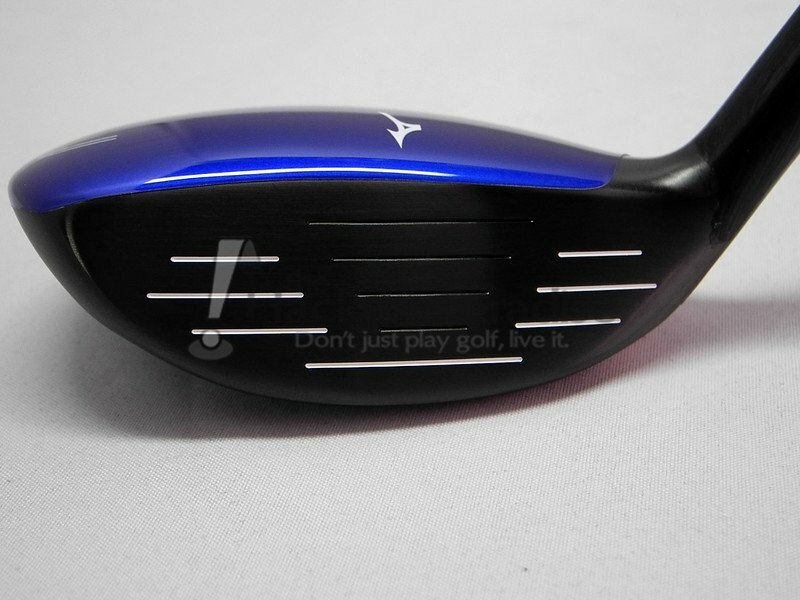 Skepticism in technology pieces like the Shockwave Sole will always be present, but testing did back up one key bit of Mizuno’s marketing. 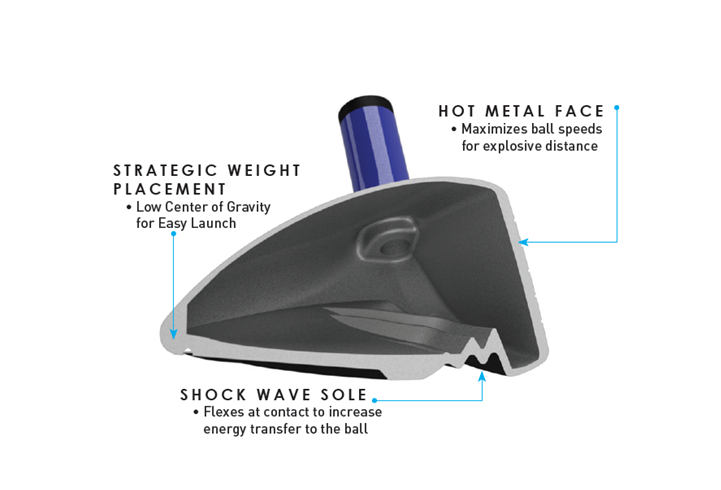 They state that ball speeds will be “highest from low on the face to match impact point,” and launch monitor testing agreed with that completely. A low-face miss (not topped/bladed) produced near identical carry distance to a center impact thanks to no loss of ball speed, slightly lower launch angle, and slightly higher spin. Not only was this surprising, it was highly valued during testing. High face impacts weren’t treated quite as kind, but were still in an acceptable range, with distance loss noted at around 12 yards thanks to a higher, weaker flight. 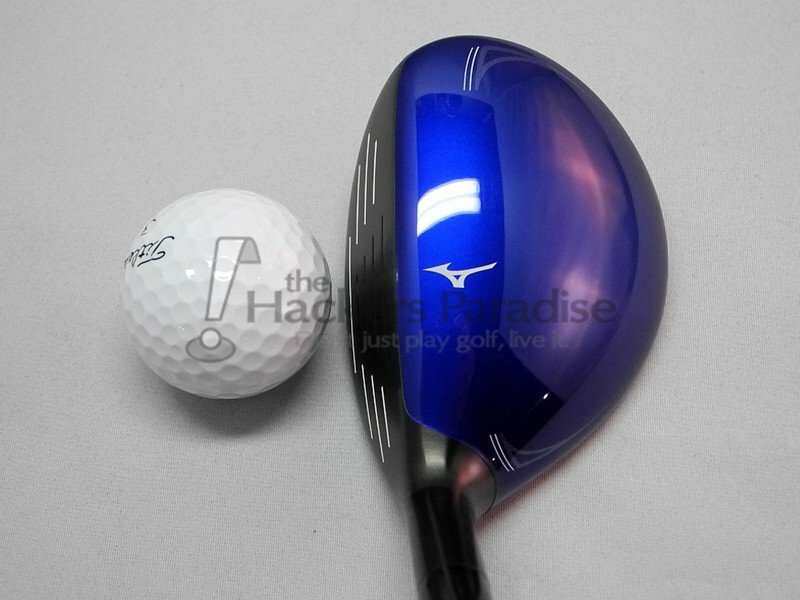 Those with issues missing left with hybrids may find the JPX-850 worth trying out. 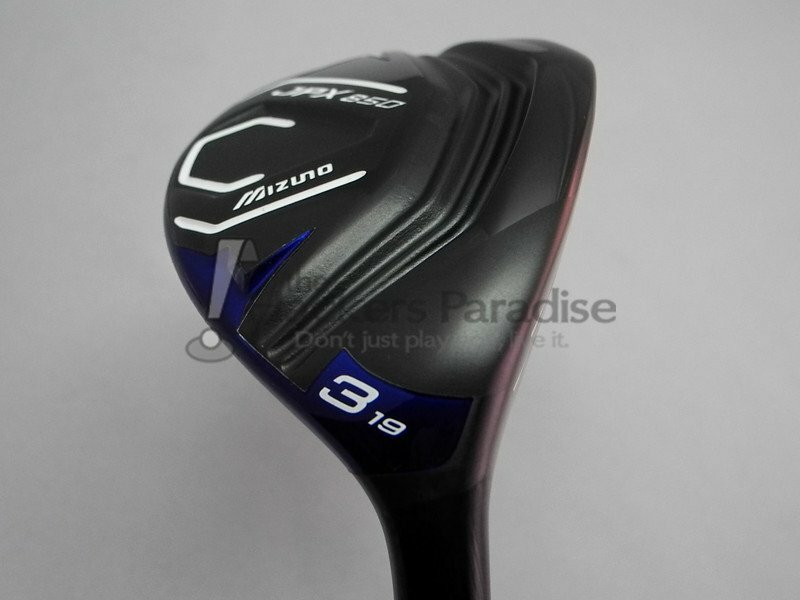 Though it certainly did produce shots left of center (like the majority of the reviewer’s shots in general), it wasn’t a club that inspired fear of the big miss like some hybrids on the market. Toe misses did carry with them a higher chance of the left miss, but it was better than most. In short, the JPX-850 was a relatively accurate, easy to work with hybrid that while not exceptionally long, was very kind to the low-face miss. At $199, the JPX-850 is no small investment, so interested buyers would be advised to take the time to demo it before buying. 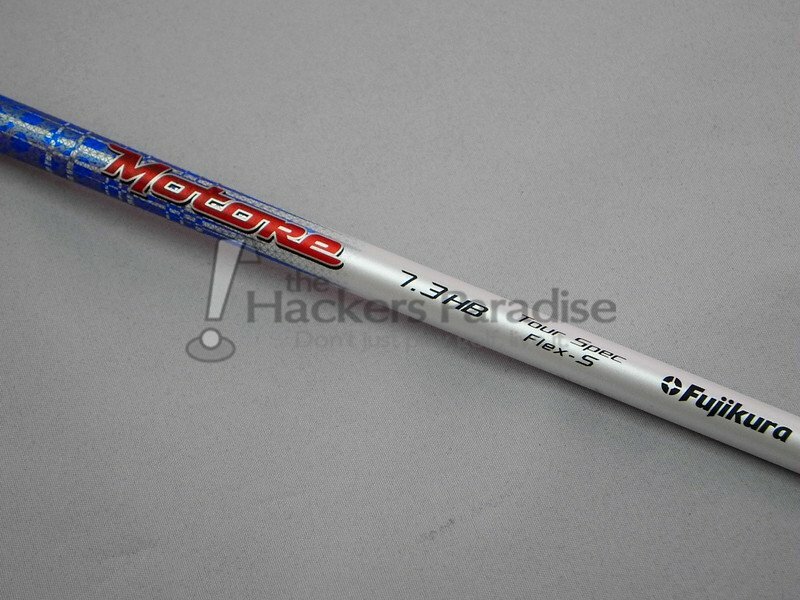 Unfortunately, that can prove difficult with Mizuno metalwoods in North America. However, those looking for something a little different looking, and especially those that make low-face contact quite often, may find it a club they get along with very well. 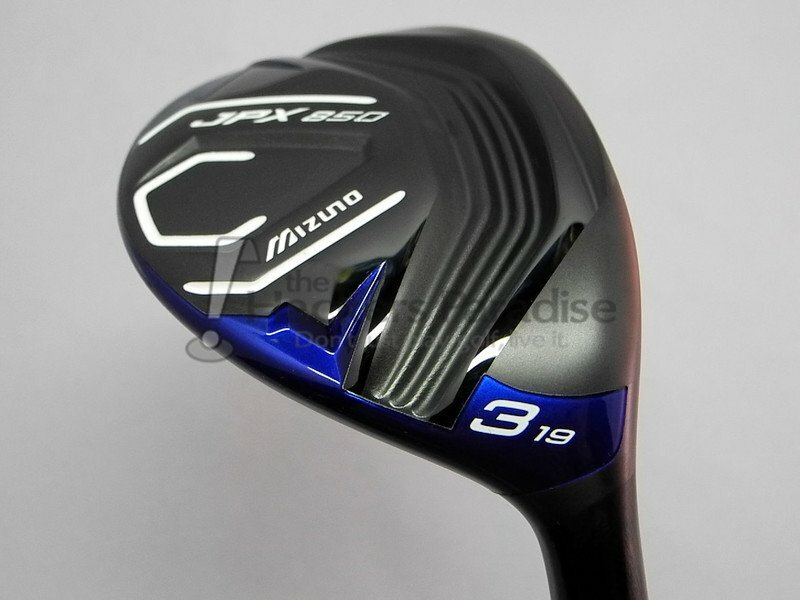 More information on the JPX-850 hybrid can be found at Mizuno’s website, www.mizunousa.com. Nice job here Hawk. 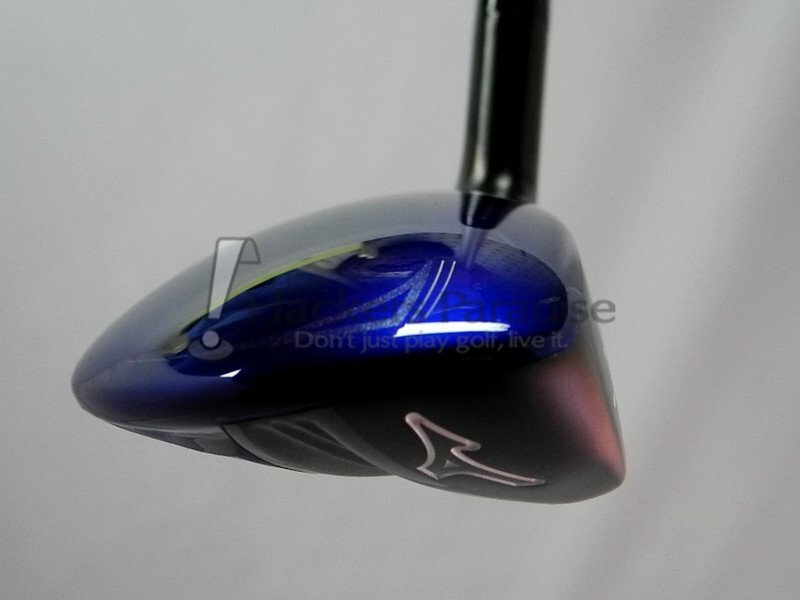 The blue is a good look and I like the Mizzy logo for the alignment aid. Really like how they offer a 2h at 16* as I typically find it hard to get one under 17 or 18 as I prefer being a hybrid lover. Good info on the ball speeds being retained across the bottom as that tends to be my miss getting a little thin. Would enjoy hitting this if given the opportunity. Holy cow! I love the looks of that. From shaft to head, the color, the shape, everything. A ton of info in this one Hawk, very nice job sir. 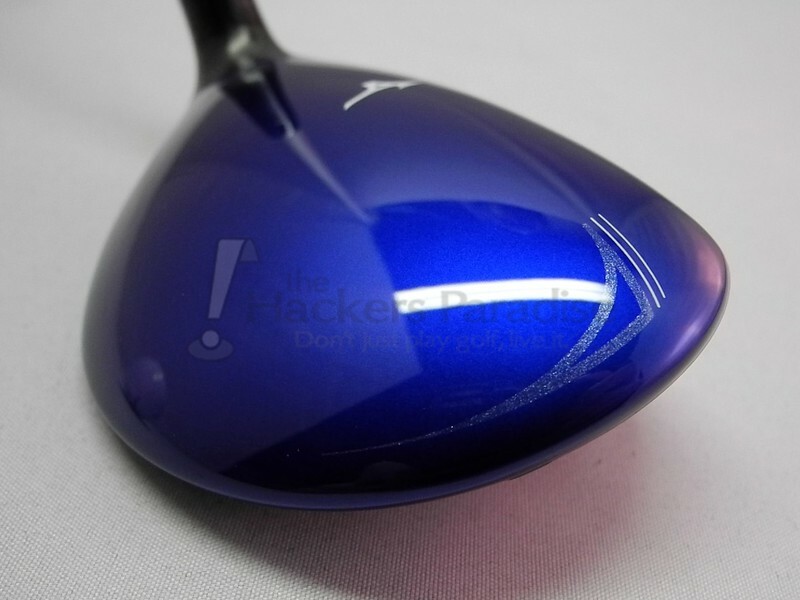 The finish issues are a legitimate concern and are similar in the fairway wood. I know you agree though that it is a solid step for Mizuno, hopefully they build on it for the next release line. Thanks for the write up Hawk. Aesthetically I like the looks of the crown & the tech built into this one is really intriguing. I know the wear on the finish is an issue for some, but I’ve always been of the mindset that clubs will be used and show wear. Interesting that the weight on these is a little heavier than most & curious how that affects distance because the trend has been lighter weight to help generate distance. Nice write up. I really like the looks of those. Wish they offered more than just the 3 and 4 in LH though. It is a beauty but I hate to hear the wear issues. It is always nice when the technology works as advertised. looks great. Can’t wait to test them out.